Covering the basics is one of the reasons we love branded hostelries. We know from experience that the name on the door means a certain level of service and accommodation within. 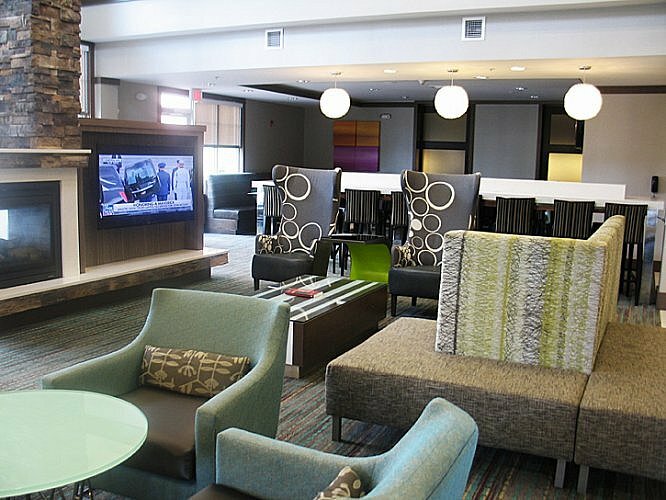 It’s that “being at home” feeling that sets the Residence Inn apart — the spacious rooms, well-appointed work spaces and full kitchens. 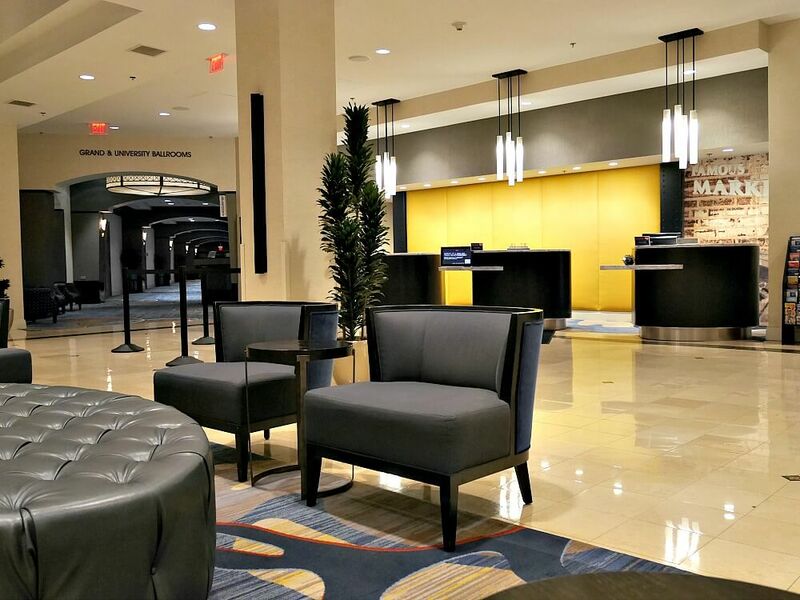 Just off I-72 in central Illinois, the Residence Inn by Marriott Decatur Forsyth, 230 Lucile Avenue, Forsyth, Illinois, is a comfortable place to stay whether you’re on business or traveling with family. It’s double-labeled Decatur Forsyth because the former is the Macon County seat (and North American headquarters for agriculture conglomerate Archer Daniels Midland) and the latter is a suburb). 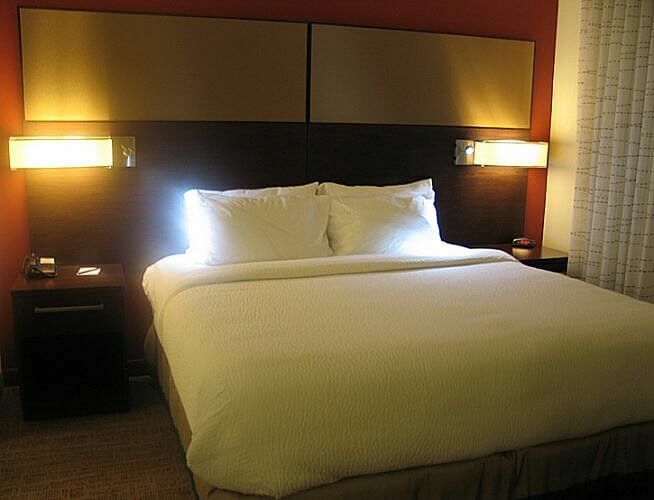 The Residence Inn label and the Marriott brand assure a comfortable stay. Here, the franchise holder also makes a difference. 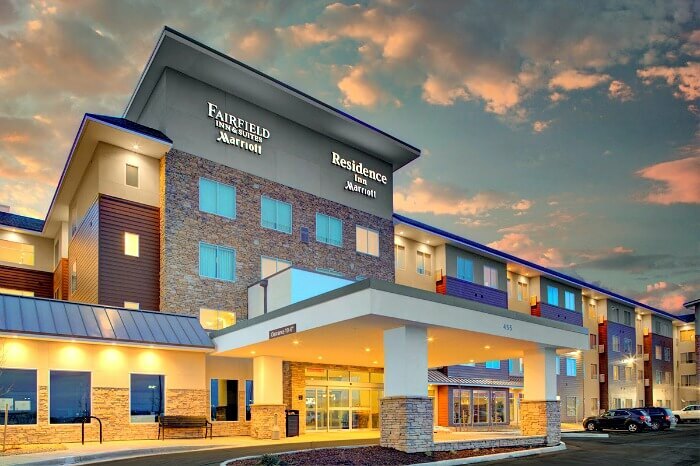 This hotel is franchised, owned and operated by Gary Tharaldson, a native of North Dakota. It is one of the 425 hotels he has constructed across the United States. How did I know that? Patrick J. McCloskey wrote a business biography of Tharaldson, “Open Secrets of Success”. Copies of the book, published in 2017, are placed in each guest room and scattered about the lobby. Glancing through the book, it was obvious that Tharaldson believes that treating his employees well makes sure that they take good care of hotel guests (he even started an ESOP — employee stock option plan — that, according to the biography, has made some 90 of his employees millionaires). It was late in the evening when I checked in after a long drive. A quick look around my one-bedroom suite showed that I had enough space to host a party (yes: there’s a full kitchen next to the living room that opened into the bedroom). But all I wanted to do was sleep. In that comfortable king-sized bed. Before turning in, I went to the window overlooking a farm field, and was delighted to see that it opened (and I did indeed open it for the night). 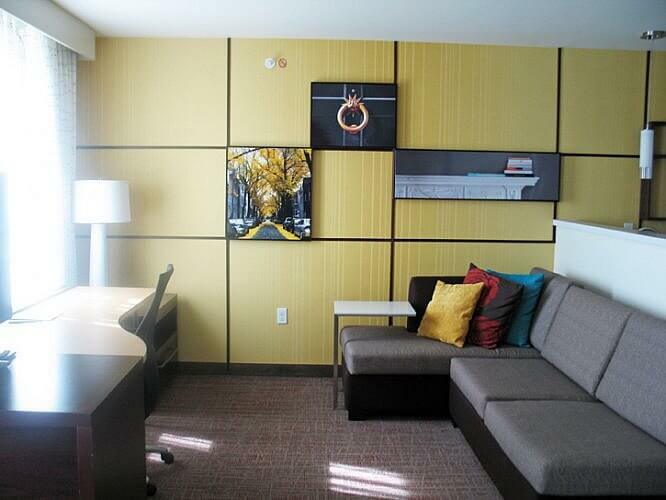 In the morning, I noticed that the suite had a huge flat-screen television and a sofa bed. There was also a great work area with electrical outlets conveniently located at the rear of the work surface (no crawling around on the floor to plug in my laptop and recharge my cell phone). Of course, there was free high-speed Internet access. Although I was there for just one night, I nodded approvingly at the fully-equipped kitchen with refrigerator, stove, microwave, and coffee maker with coffee, tea and popcorn. I noticed that there was an indoor pool and a fitness center on site — amenities I didn’t have time to enjoy. I headed down to breakfast — and a nice surprise. 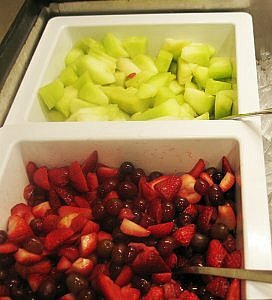 The choices were expansive, including French cheeses and several kinds of fresh fruit. 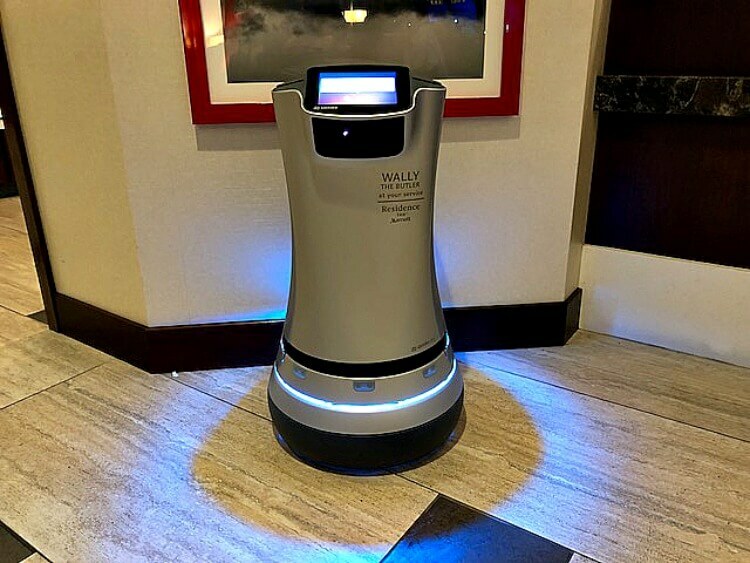 There was an attendant in the breakfast area. Yeah, by itself that’s not too surprising, but he actually talked to me (and the other guests). He wanted to be certain I found the juice I wanted, offered to make me a waffle when I looked baffled, and insisted on carrying my tray to a table in the lobby. (We weren’t restricted to eating within sight of the cereal bins). In retrospect, it’s easy to credit the cheery helpfulness of the breakfast attendant to the management philosophy I later read about in “Open Secrets of Success”. Every staff member I met was just as helpful. I hadn’t brought any furry critters with me on this trip, but the Residence Inn says pet-friendly suites are available. 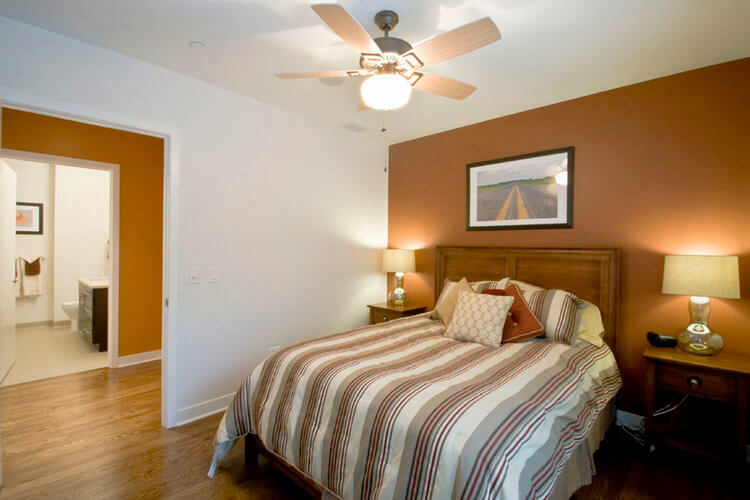 Rooms at the Residence Inn start about $130, including breakfast, and can be booked on the hotel’s website or any of the usual hotel booking sites such as Hotels.com.